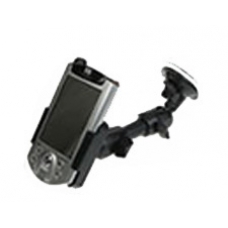 Heavy Duty iPAQ car holder is a PDA mount designed to keep your iPAQ safe and secure on your dashboard or windscreen - a perfect iPAQ car accessory. Using these model specific holders is as simple as sliding your PDA device into the holder and you are ready to go! The mount system is highly flexible allowing for 360 degree rotation and the included extra long barrel lets you choose how far away your iPAQ unit is - making this a perfect mount for using your iPAQ as a satellite navigation, or GPS device. Made in Germany these are superb quality.